We originally wanted to do this on a long narrow tray but couldn't find the right match...then we found a small glass ashtray from the dollar store and our vision was reborn! 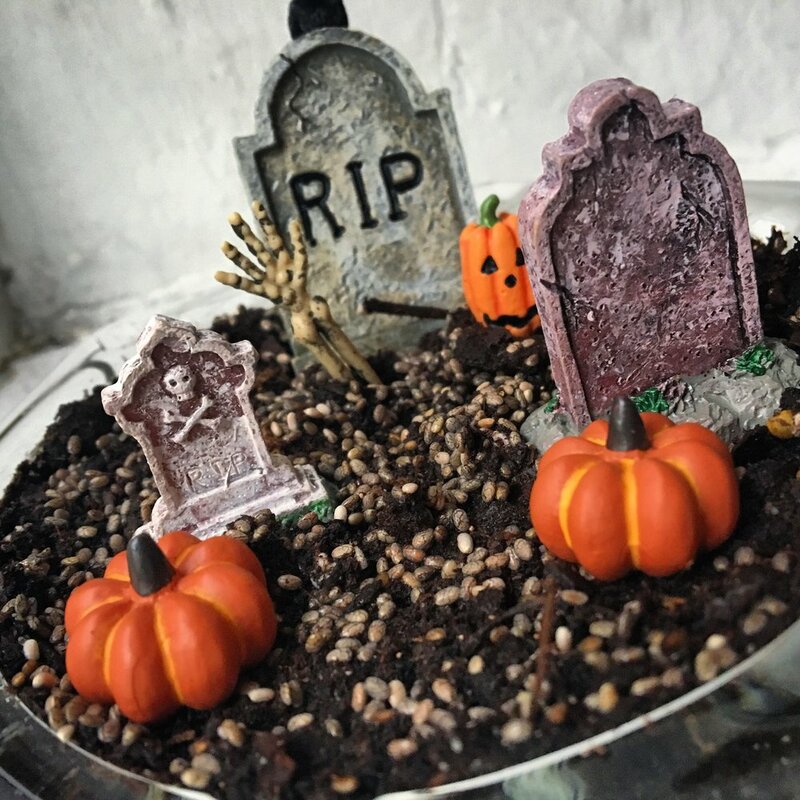 We filled the ashtray with soil and a hearty pinch of chia seeds and added mini gravestones and pumpkins from Michaels. Gave it lots of sunlight and kept the soil moist with a spray bottle. It took about 3 days to start seeing sprouts! Wanted! Wanted! Dead or alive!